July was a rather dry month this year, but we have had some good rain in the past week, which has made the vegetable fields very happy and made the turkeys and chickens a little damp and muddy. The precipitation will give a hand up to some of our fall crops like leeks, celeriac and brussels sprouts, and will help lettuces and bok choi to perk up too. Since we don’t have to water the garden today, this makes time for other good work to get done. It is time to think about harvesting the onions and bringing them to the greenhouse to cure. Tomatoes are ripening right and left, and the plants are getting so tall that they need another round of trellising. We have a few more rounds of seedlings to be planted, and Nick needs to do some direct seeding into the fields in the next few days. Today, he will also attack some of the newest seedings with the cultivators on the tractor. The large red onions are not cured (dried) and so they should be stored in the fridge. Remove the carrots from their tops and store each separately in the fridge. The basil plant will do well in a sunny windowsill or on your porch or patio. Water 3-4 times weekly to keep soil moist. When you harvest, either pluck individual leaves or pinch off at a part of the stem that is directly above a “node” where new leaves are growing. This will promote growth in the plant and prevent legginess. The plant should live into the fall, but will probably poop out some time during the late fall or winter. Check out this site for more information about caring for and harvesting from your basil plant. No need to do anything fancy with the tomatoes – just slice, salt, and serve with a little chopped basil. Arugula is a tender green with a big, peppery, nutty taste. Use sparingly in salad or as a pizza topping or omlette ingredient, or try it in pesto (my favorite way to eat it – see recipe below). Big red onions are delicious in fresh salads, as they have a slightly sweeter taste than their yellow counterparts. For a new twist on onions, try quick-pickling them! Onions can also hold their own as the star of a main course dish. Try making a savory red onion tart, rustic red onion tart, or red onion soup. Our second succession of kale finally grew up! And there is more for you this week, because it was looking so nice. It is young, so it is much more tender than it usually is this time of year. Yum – perfect for raw kale salad (find the recipe again here) or a quick sautee in olive oil with garlic and white wine. Tokyo Bekana is a lime-colored, tender green in the bok choi family. It has only a hint of mustard-y taste, and can be used to great effect in salads or stir-fries. Yum! Purslane (also known as portulacca or verdolagas) is a delicious green that grows wild in our fields in the summertime. It’s crisp, succulent leaves and slightly lemon-y flavor make it an instant favorite. In addition to being yummy, purslane is very nutritious. A one-cup serving contains about 10% of your daily Vitamin C and A, and fair amounts of minerals, including manganese, magnesium and potassium. 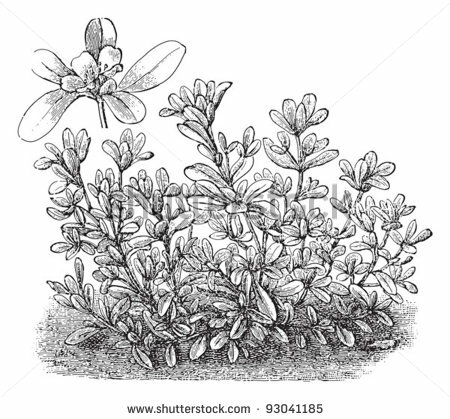 Researchers have also found purslane leaves to have very high concentrations of omega-3 fatty acids. To prepare purslane for the kitchen, give it a thorough wash and remove the leaves and tender upper stems from the tougher lower stems. From here, you have many options….see the recipe section below. Lori found some great recipes this week, including a very summery looking celery and cucumber salad. Enjoy! Sauté onion and garlic in 1 tbs. olive oil over low heat. Add kale and broth, simmer gently for 15 min. until kale is cooked. Add 2 cans of washed and rinsed beans adjust seasoning with salt and pepper just before serving, drizzle with olive oil and chopped parsley. Serve with toasted bread. Place relish in the bottom of a bowl. Whisk in vinegar then extra-virgin olive oil. Add cucumber, celery, peppers and marinated vegetable of choice to the bowl. Toss salad and adjust salt and pepper, to taste. And here are a number of purslane recipes. I love to put in it soup. Especially good served with grilled seafood. Combine all ingredients in a serving bowl. Salt to taste. In a skillet over medium heat, heat the olive oil and cook the onions and garlic until caramelized, stirring often. In a large soup pot, add the chicken broth and the water and heat over medium heat. Add the onions and garlic to the soup pot along with a little salt and pepper. Return to the skillet and add a bit more olive oil. Over medium heat, cook the tomatoes, tomatillos, carrots, peppers, and eggplant until the eggplant is about half cooked and the tomatoes have started to release their water. Transfer to the soup pot. Add the cooked beans to the soup pot and cook for between 10 and 20 minutes. Add the purslane at the last minute and turn off the heat. Sautee 1 c. fresh purslane, 1 clove crushed garlic, one seeded and chopped chile (if desired) and ½ c. chopped onion in olive oil until purslane has wilted. Add 1 c. chopped fresh tomato or tomatillo, and cook until tomato is heated through. Sprinkle with ½ c. crumbled farmer’s cheese, stir in 2-3 eggs, and cook, stirring, until the eggs have just set. Serve with tortillas. This pesto freezes well and is great to bring out when you have an arugula-tooth but no fresh arugula. A little goes a long way! Blend arugula in a food processor, adding garlic, nuts and Parmesan until well blended. With machine running, gradually add olive oil; process until smooth. Season to taste with salt and pepper. Serve at room temperature. Blanch kale in a large pot of boiling salted water, about 1 minute. Drain and rinse with cold water to cool; wring dry in a clean kitchen towel. Transfer to a food processor, add garlic, Parmesan, and walnuts, and pulse until coarsely chopped. With motor running, add oil in a steady stream and process to a coarse purée. Add lemon juice and season with salt and pepper. My mom loves lentils…..and this salad might make you love them too! Wash and pick over lentils and combine with water or broth in a saucepan to cover lentils by about an inch. Bring to a boil and then reduce heat, simmering until lentils are tender but still retain their shape. Drain lentils and combine with remaining ingredients. Refrigerate and serve cold or at room temperature.